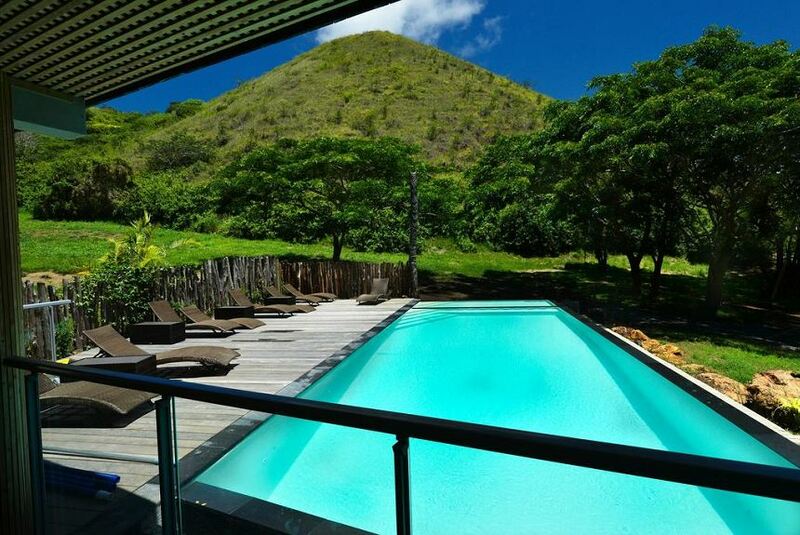 Positioned on 20 acres of tropical forest, Betikure Parc Lodge is located in Bourail. Guests can relax by the outdoor pool and take in the captivating mountain views, or enjoy traditional and French cuisine from the on-site restaurant. Free WiFi access is provided. Betikure Parc Lodge is a 5-minute drive from the centre of Bourail. The closest beach is a 15-minute drive away. La Tontouta International Airport and Noumea are both within 2 hours’ drive from the property. This luxurious tranquil property offers air-conditioned rooms with a flat-screen TV and modern furnishings. Each room provides a private bathroom with free toiletries and a hairdryer. Some rooms boast a kitchen with a stovetop and oven. Some rooms feature a private hot tub. After a day of exploring, guests can unwind on the balcony. At Betikure Parc Lodge you can enjoy a massage. The tour desk can assist you with excursions such as jet skiing, kayaking or kite surfing.